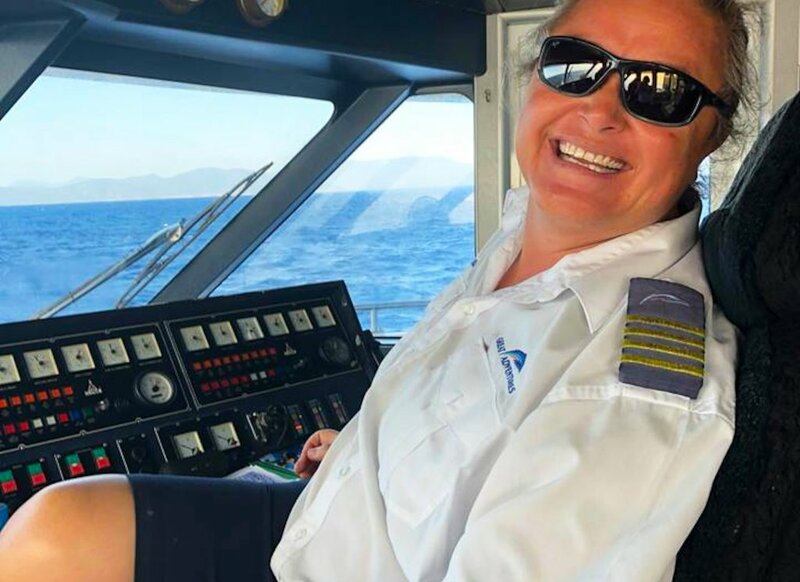 Great Adventures skipper, Amanda Matthies joined the Quicksilver Group in 2011 as a deckhand and quickly moved her way up the ladder to a first mate role, then to skipper. She is the first female skipper in the history of the Quicksilver Group. 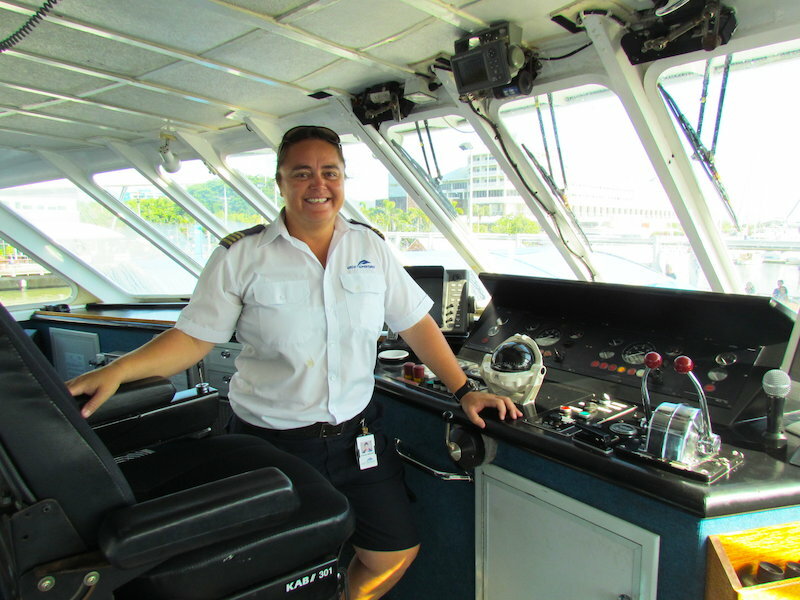 Amanda recounts her first drive for Great Adventures on transfer vessel GIX. “I was deck on GIX and Brian (Cave, Great Adventures General Manager) came down to the boat and said that he wanted to train me driving. I was pretty nervous on my first drive. Later, when I was trained on Reef King, I was a bit nervous, but after the first day of driving solo, it became second nature”. One of Amanda’s favourite memories of her time at Great Adventures however is her time spent as a pontoon caretaker. Here, she got to share her environment with manta rays, whales, sharks, a family of lion fish residing under the pontoon and even a marlin in the Moore Reef channel. Also trained as a dive instructor, she admits that she does miss her time in the water, especially the opportunity to take introductory divers underwater for the first time. Amanda finds that one of the most inspiring things about working for Great Adventures is being surrounded by supportive males, “they all play a pretty big part in my boating career and I take a piece of what these guys have taught me and make it my own. They don’t discriminate against me and they are always ready to help if I have any questions”. She is appreciative of the support from upper management who have allowed her to grow and develop as a skipper. Amanda hopes to be an integral part of the Great Adventures and Quicksilver Group team for many years to come! Amanda upon commencing her first drive as skipper for Great Adventures in 2011.